Donning a weight vest automatically increases the intensity of any exercise that uses your body weight for resistance. If your body is ready for that extra challenge, weight-vest training yields benefits like increased speed, strength, muscular endurance and cardiovascular endurance. But if your body's not ready for that extra intensity, putting on a weight vest places you at increased risk for injury and can contribute to improper form. As you exercise, your body adapts to the challenges it's presented with; if you want it to keep getting stronger, faster or to build endurance, you must gradually increase the duration, intensity or frequency of those challenges. Although a weight vest is an excellent tool for boosting exercise intensity, it can backfire if you add too much weight too quickly, exposing your muscles and connective tissues to loads they're not prepared for. 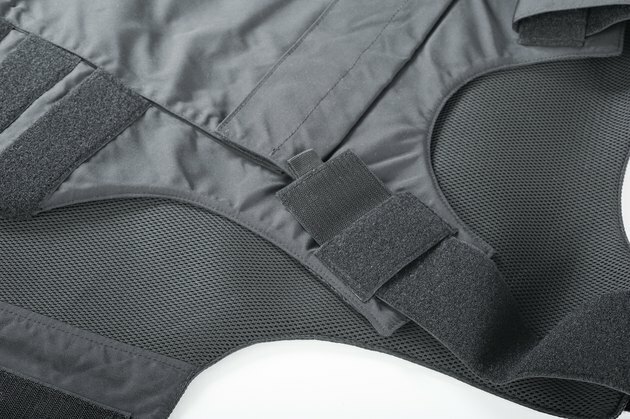 In addition to the hazards of using too much weight too quickly, the weight vest itself can pose a potential problem. The best weight vests will keep the additional weight close, stable and evenly distributed against your torso. If your weight vest doesn't do all of this, it puts you at risk of injury or developing poor biomechanics as you compensate for the movement of the weights. Your weight vest must also hold the weight bar, plates or bags securely, as weights falling from the vest pose an obvious risk of injury. What Size Ankle Weights Do I Need? Can Dips Cause Shoulder Impingement?